Want to find and buy houses cheaper than anyone else? There's a step-by-step blueprint to help you get more leads… follow up when others have given up… and convert your leads into profitable deals. At the next MAREIA meeting on April 11, you are going to learn all about finding deals and cashing checks! We are also going to teach all those tips and tricks that set you apart and get your phone not only ringing but ringing with leads that want you to buy their house! 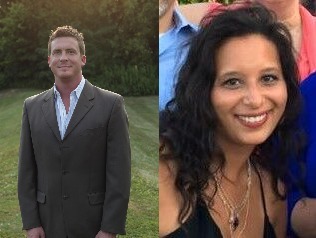 We have invited Jason Roberts and Rachel Schneider, top real estate investors and national speakers, to come share their marketing strategies that have helped him flip over 400 homes in the last few years. Jason and Rachel have tried every guru out there’s marketing and found out what really works and what doesn’t so you don’t have to! Bonus! How to structure your business so that all of this will only take 10 to 15 hours a week of your time while you are working your full time job! So come learn from the experts and turn your business into a Marketing Machine!!! Come for the education, networking and FREE food! MARKET UPDATE BEGINS at 6 PM!